Constance and her human hadn’t been on a walk together for a while, but although today was overcast and cool, it was a good day for a walk. 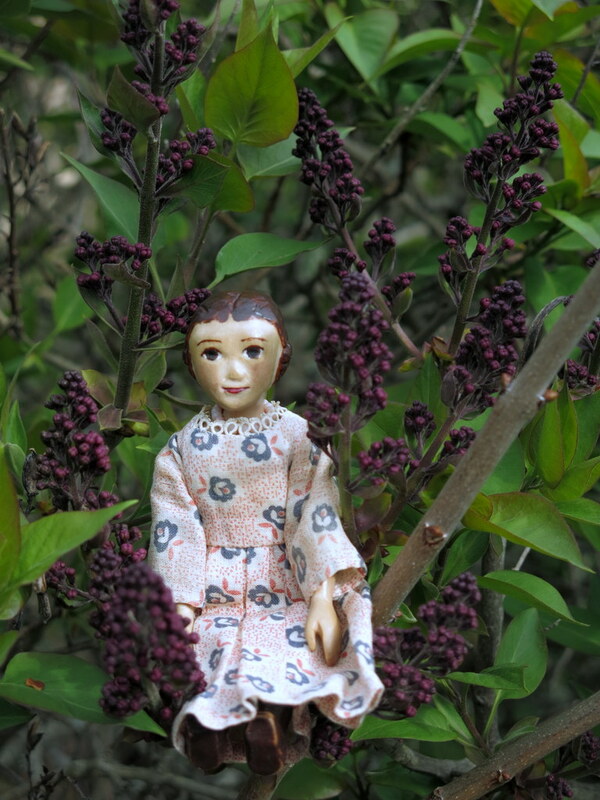 …while the Lilac is budding already! 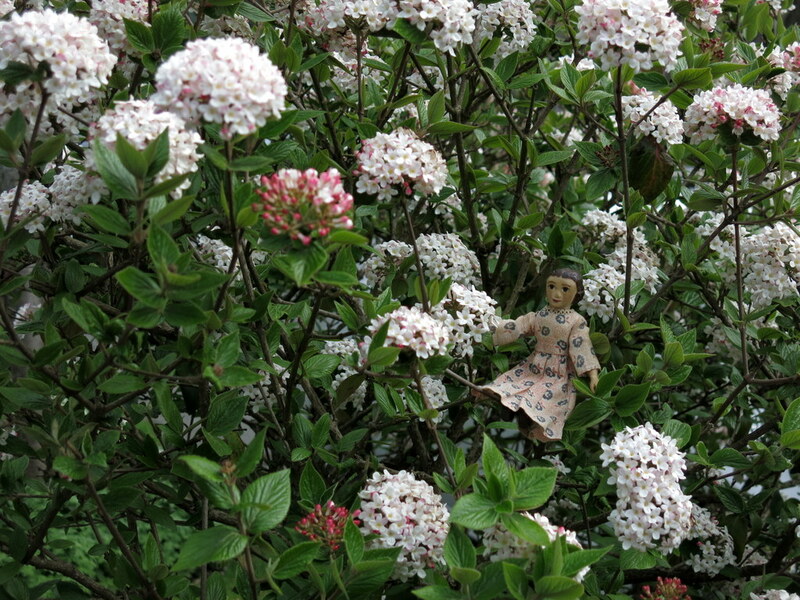 …the heavenly scented viburnum is almost overpowering! …and a perfectly beautiful Tea Cosy which actually fits perfectly over top of the Quimper Hitty’s rather ample tea pot!! Reminded of the beauty of friendship, and the historic connection to the fabric of her dress, Constance’s heart is warmed, (as her favourite teapot is warmed with the beautiful and thoughtful gift)! what a perfect way to start me day! 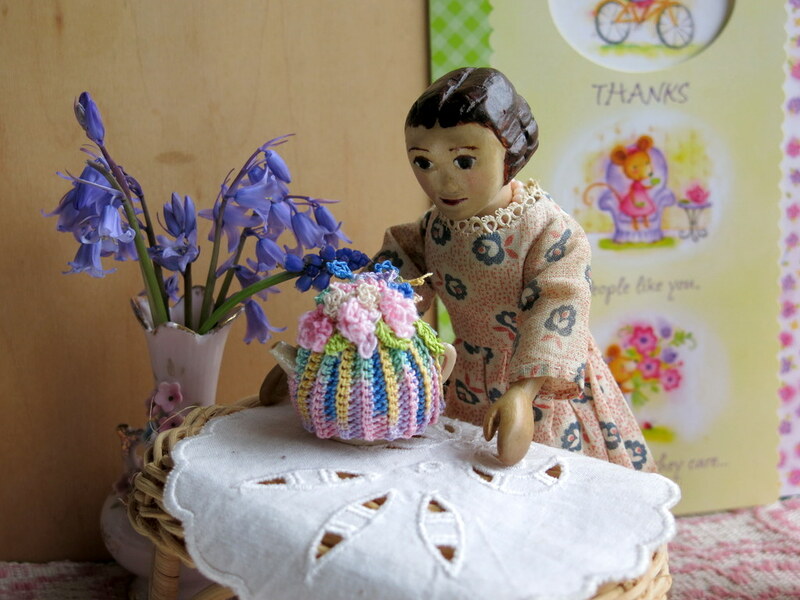 A walk with Constance and her human in a garden of beauty and then to return home to a gorgeous teapot cozy…what a perfect way to end a walk.. a hot cup of tea from a beautifully warmed teapot. Love the comment regarding the origin of Constance’s frock…how very special. 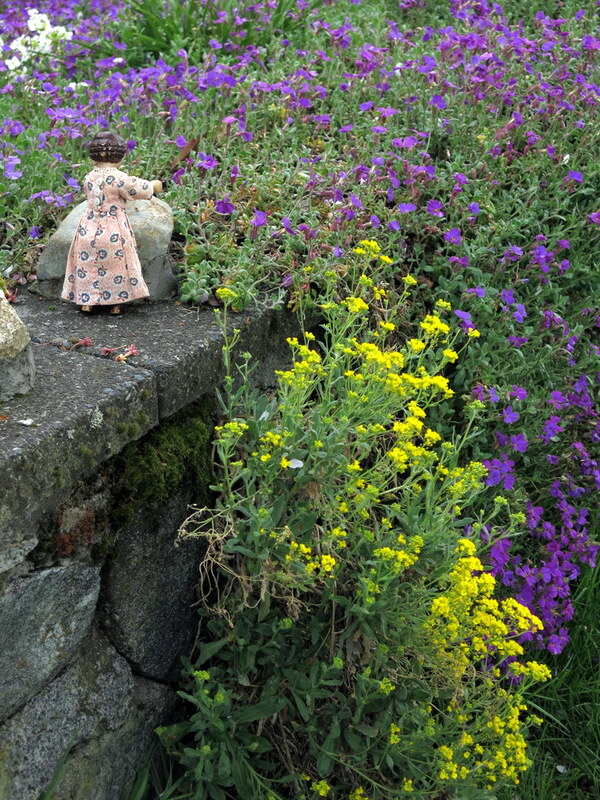 I am glad you enjoyed walking with Constance and me…we found plenty to appreciate in the sweet flowers an the gentle exercise. It was such a bonus to have real mail in the mailbox for us, leading directly to a restorative cup of tea, and friendly thoughts about friends and relations. dogsdolls put into words my feelings perfectly. This was beautiful and touching. 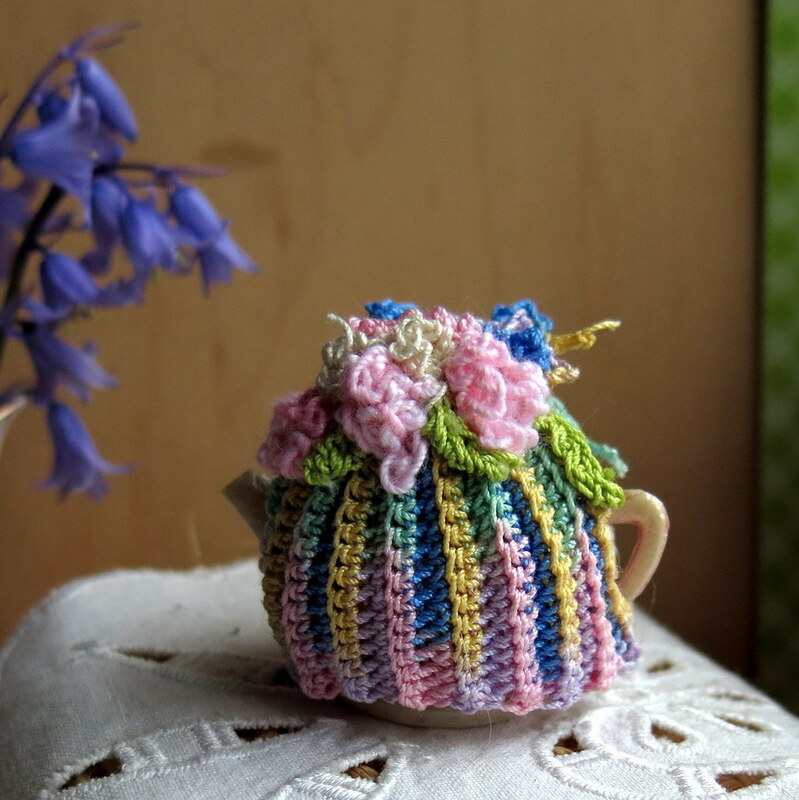 The flowers, the material from your grandmother and the beautiful tea cozy. There is nothing more precious than nature and LOVE. 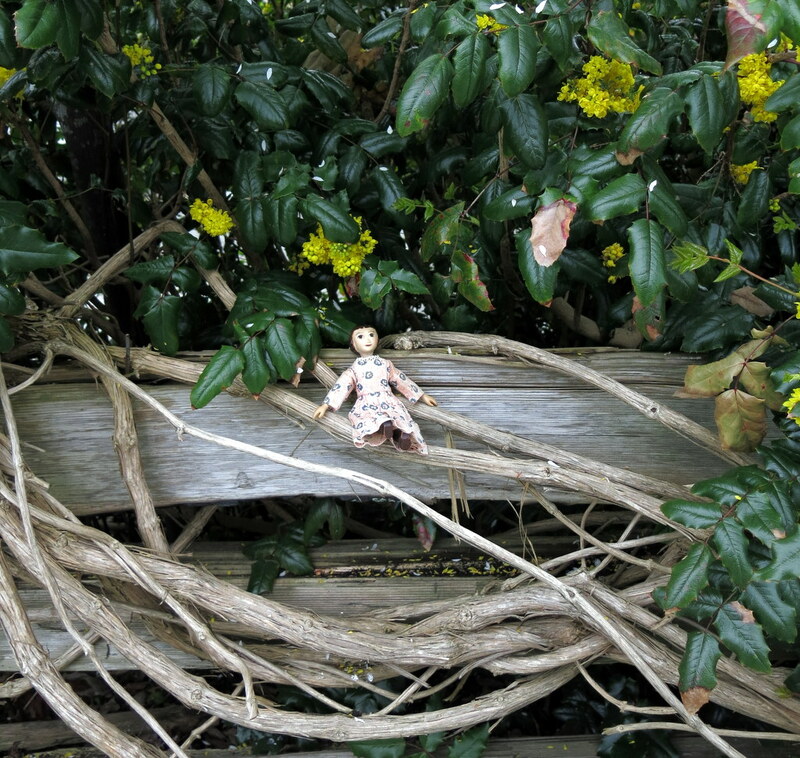 We agree, nature and love, are so precious…I am grateful to my Hittys and Hitty friends for remembering and reminding me when sometimes things feel unsatisfactory. “Warmed” is just the best word for this almost too good to be true, it has to be true narrative. 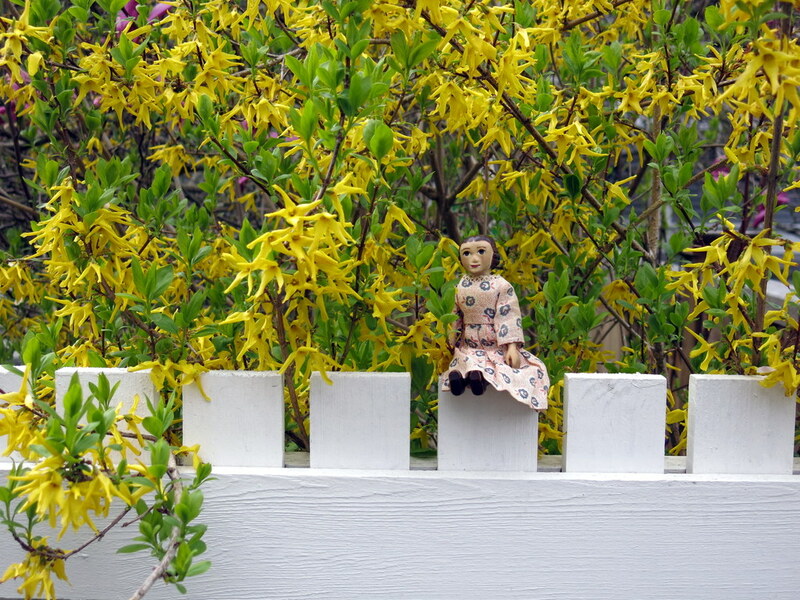 Lovely people, lovely flowers, lovely dresses, lovely memories, lovely tea….warmed…..so heart-felt. 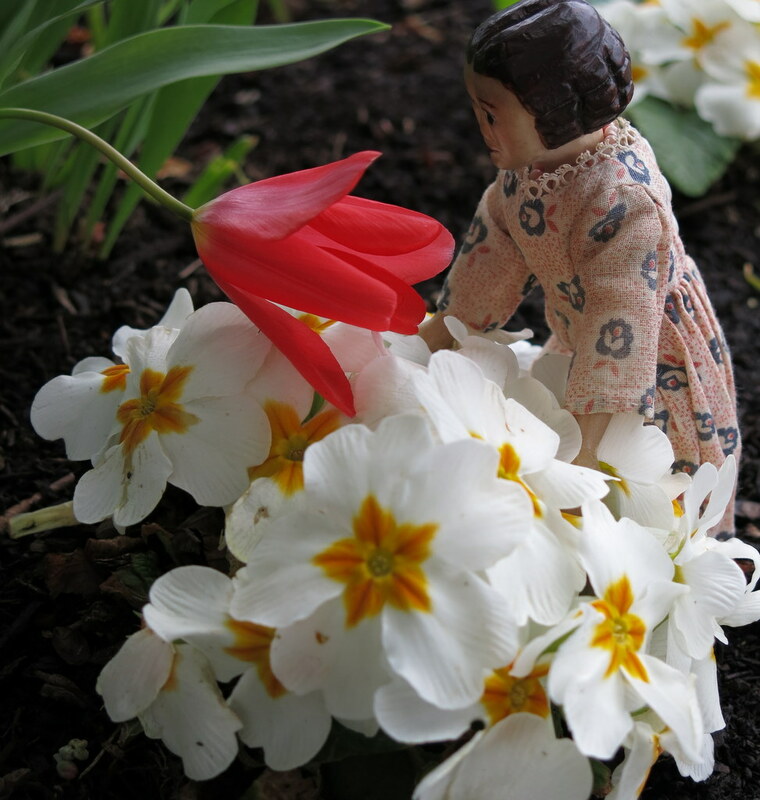 It is all true…all the lovely flowers and the cloth from grandma…so many old memories and new things to appreciate! A heart-warming start to the day! My sincere thanks for sharing such beauty and soul-sustaining sweetness. You are very welcome! I hope you noticed that pretty pink vase in the background! Another gift from a kind Hitty friend!